Kilometre, also known as Kilometre Browser, is a file manager for Mac OS X. It provides some features that are hidden or not supported by the Finder. Show and rename invisible files. Change the file visibility, lock and stationery attributes, type and creator, Unix permissions, owner and group, file creation date, modification date and backup date. Give you the option to merge or fully replace a pre-existing folder when copying a folder with the same name. 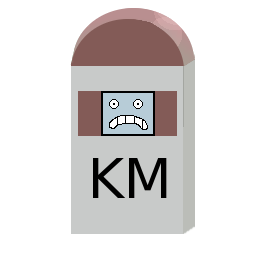 Download the current version: KILOMETRE 1.3.2 (compatible with both Intel and Power PC microprocessors running Mac OS X 10.4.11 or higher). If you are using an older Mac OS X version, or if you have other problems with the current release, you may also try one of our older releases. You may use this software for free. However, it is copyrighted software, owned by Faustic Inferno SL and Alejandro Castro García. This software comes with no warranty, to the extent allowed by law. You may redistribute unmodified versions of this software, but you may not charge for them. You are allowed to charge for the media and for your distribution costs, but it must be clear to the recipient that he or she is paying for those services, not for the use of this software. You may not redistribute modified versions of this software. Corrected some incompatibilities with OS X 10.11. Corrected an error that resulted in undefined values being assigned to file type and creator under certain circumstances. MacOS X 10.4.11 or higher. Import classic comments / export MacOS X comments. Mac OS X 10.6 and higher: System functions to access the desktop database seem not to work since Mac OS X 10.6. Kilometre needs the desktop database to retrieve and modify classic comments. Because it's very improbable that Apple will repair these obsolete functions, restoring support for classic comments would require trying some alternative method. As demand for this feature is probably very low, we have no current plans to work on this. Removal of legacy code: there are still a lot of dependencies on technologies that Apple deprecated long ago. Because these dependencies make the application difficult to maintain and prone to incompatibilities with every new system release, our main priority is to remove these dependencies as soon as possible. Look and Feel: before adding any new features, we plan a full redesign, because the current interface has too many constraints to escalate easily. Copyright © 2018 FAUSTIC INFERNO SL. All rights reserved.